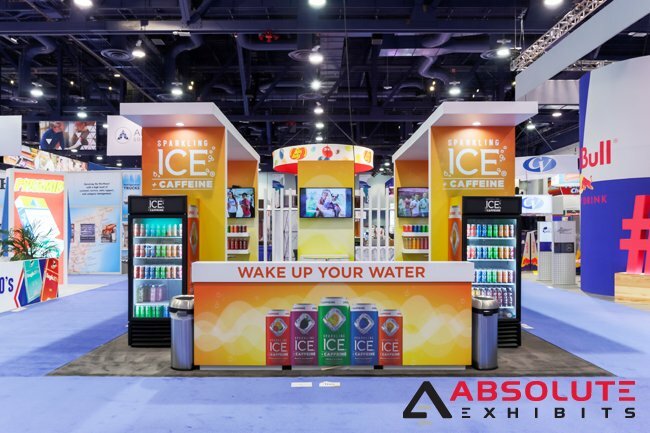 3 Ways to Enhance Your 20x20 Trade Show Exhibit Design | Absolute Exhibits, Inc.
It’s 2019 and this is the year you give up boring 20×20 trade show exhibit design. For far too many years, many brands have settled for yawn worthy designs that are less than inspiring. You know these exhibits in the exhibit hall- the cringe worthy graphics, the boring same old same old looking designs, cookie cutters of their competitors. 2019 is the year you wake up, take control and obtain an exciting 20×20 trade show exhibit design! Try some of these tips and you’ll have something you’re proud to show off to everyone. Think outside of the box a little here. Say you’ve got a 20×20 island trade show exhibit booked- you have lots of room to be creative in that space. Instead of a humdrum design, play with unusual shapes in your 20×20 trade show exhibit design to grab people’s attention. This could be interesting angles, eye catching curves, and more. Unusual shapes get people interested and gets them talking. Imagine the possibilities and then execute it so your trade show exhibit stands out on the trade show floor. One of the basics of 20×20 trade show exhibit design is color. People respond best to color, light, and movement in trade show exhibit design. It’s part of our human nature to be attracted to certain colors. This is why some of the most iconic brands are so colorful. Color inspires emotion and often, can increase affinity for a brand. So don’t be afraid to be bold and introduce some color into your 20×20 trade show exhibit design. 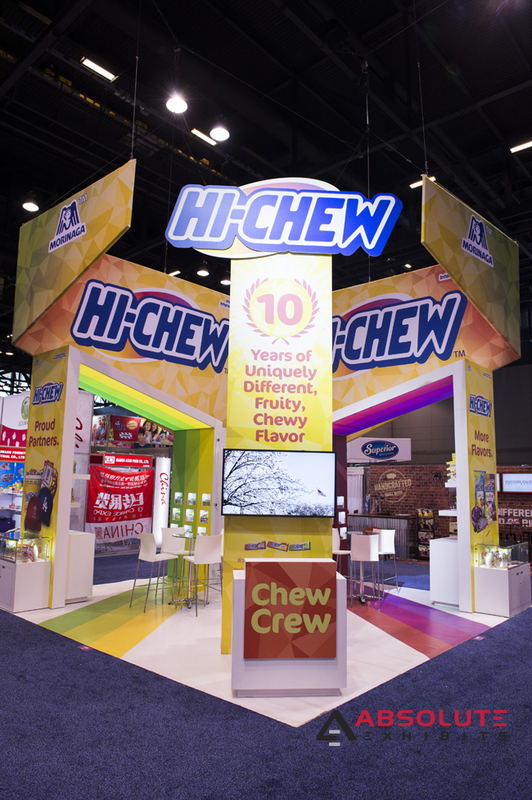 Be bold and unafraid to introduce your brand with eye popping colorful 20×20 trade show exhibit design. Whatever your industry, whatever your product, you can find an interesting theme that will encourage trade show visitors to talk about your 20×20 trade show exhibit design. We’ve had many clients who have successfully executed some very creative themes- from an apothecary to farm houses and more. 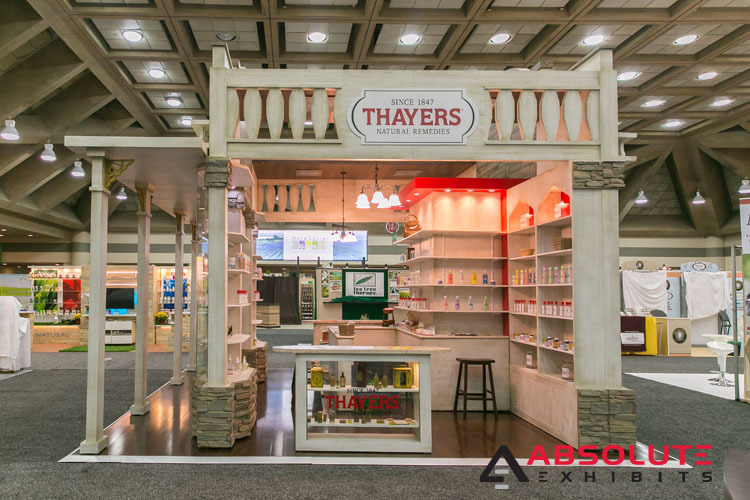 When speaking with your exhibit house partner, ask them for ideas on a creative theme for your 20×20 trade show exhibit design. Their creative design teams can come up with something that stands out on the trade show floor and gets people talking. We all know beauty is in the eye of the beholder, but instead of playing it safe and boring with your trade show exhibit design, do something different or unusual. You’ll be glad you did when your traffic increases at your trade show exhibit.